Pink Lilies are delicate flowers which represent exquisiteness and are best suitable to be given to people who have a good heart. Pink lilies represent pure affection towards a noble soul and show your true feelings towards them. 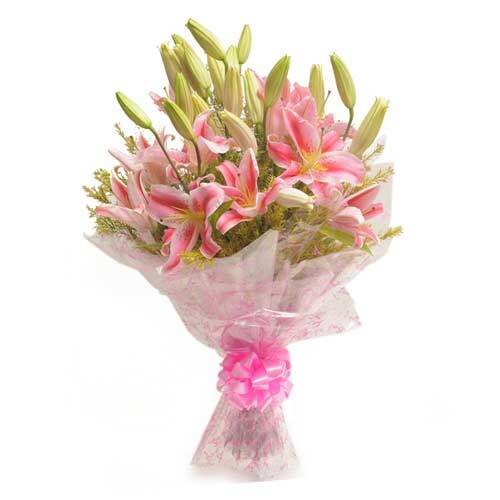 Pink lilies are sure to make someone smile and fill them with happiness. Wish A Flower is an online florist website that provides its customers with a beautiful collection of pink lilies which are available for same day delivery across India. Wish A Flower should be the only website that comes to your mind while ordering flowers for your loved ones.